No matter how much an alienating parent denies their children are suffering due to the alienation they have caused with the target parent the truth is, these children often suffer in silence. They may not always voice what they are going through emotionally because of fear of retaliation at the hands of the custodial parent. As for the child, when one parent is ripped out of their lives and they are denied contact, there is a host of problems that await them. This may come in the forms of social withdrawal, low self-esteem, earlier than normal sexual experimentation and drug/alcohol abuse. Further, these children in time come to believe this behavior is normal and accepted and may carry it on into their own families as they reach adulthood. As the saying goes, when you choose to hate the other parent more in the efforts to seek revenge, you are actually saying that your child is not important enough to love more. Clearly this does not indicate signs of good parenting. Instead, it proves they are incapable of doing all that is necessary to foster a near or near as possible upbringing in their children’s lives that will promote a healthy balance. When this occurs it is up to our family courts to intervene on our children’s behalf to ensure that the best interest of the child is upheld. Unfortunately, this does not always happen. 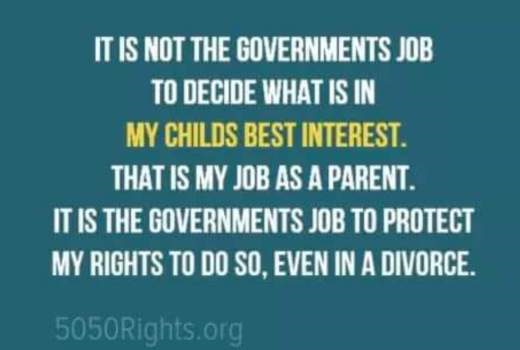 Instead, there are many judges in the family court system who rule with bias and heavy handedness and when they do so, the words “best interest” become nothing more than hollow words used to fill up empty space on parental responsibility order. Read more of my reflections in my book “Parental Alienation is ABUSE” at: Amazon or Amazon Kindle. You can contact David Shubert at iwaserased@gmail.com to schedule interviews. David R Shubert is a left behind and alienated parent who has been fighting to be in his daughter and step-son's lives for over ten years now. He understands the dynamics involved in the mental and emotional aspects that all alienated parents are forced to endue. After becoming disillusioned with the family courts he decided to take matters into own hands to promote awareness on the various social media outlets. He felt that he needed to write about what millions of other parents go through when their child has been parentally abducted or alienated from the other parent. His reflections are now read all over the world by parents suffering the same abuse that was inflicted upon him and his children. His words are sometimes raw in form, but he knows that others need to become aware of what is happening around them to victim parents. Further, he connects with these same parents in such a way they understand they are not alone and there will always someone there to support them in their hour of need. He gives them a voice that is many times, silenced by the vindictive and intimidating actions of a former spouse or partner as well as, the sometimes erroneous decisions of the family courts. Contact the author. Everyone knows its is mothers who do this the most. Why? Because the corrupt Anti-family court gives custody to the female 95% of the time so it is they who have the opportunity, and they who are guilty of it most often. If a parent was beating a child in public, most people would intervene either by trying to stop the abuse or by calling the authorities. Mothers who limit fathers’ access to their children, who engage in maternal gate-keeping or who interfere with father-child relationships should be treated the same way, but aren’t. No matter how much a self-alienating parent denies their children are suffering due, to their indifference to the child’s emotional needs, their abuse of the child or the other parent, and/or their violence, these children often suffer in silence. They may not always voice what they are going through emotionally because, of fear of retaliation at the hands of the self-alienating parent. 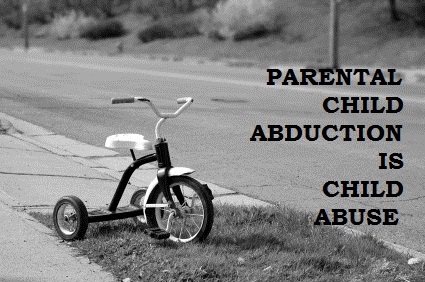 Instead, they remain submissive to the wrongful actions of this self-alienating parent in the attempt to please them. When they do speak up, they may be met with phrases such as, “your mother or father doesn’t love you as much as I do or whose side are you going to take?” This parent may threaten to withhold love and affection if, there appears to be any resistance on behalf of the child. More commonly the children suffer a form of Stockholm Syndrome whereby they will attach themselves to the self-alienating parent in the hope that their ill-treatment by that parent will diminish. Gaslighting by the self-alienating parent is commonplace. By ignoring what is happening to this child mentally and emotionally, we are denying them our love. These self-alienating parents choose vindictive actions against the protective parent instead of looking out for the best interest of their child and that is the right to know and love both parents, but only if the self-alienating parent can place the needs of the child before their own self-obsessed needs and narcissism. Though, obvious to most normal mothers and fathers, hatred can and will harm their children in the attempt to hurt their children as a means of hurting the protective parent.